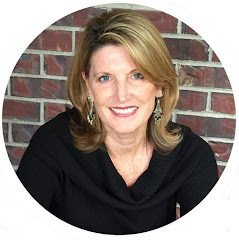 As you know, I love to get notes from Readers - so if you have questions - send them to me!! I can be reached a multitude of ways - check out my Contact Page. Thanks for the questions Iris! 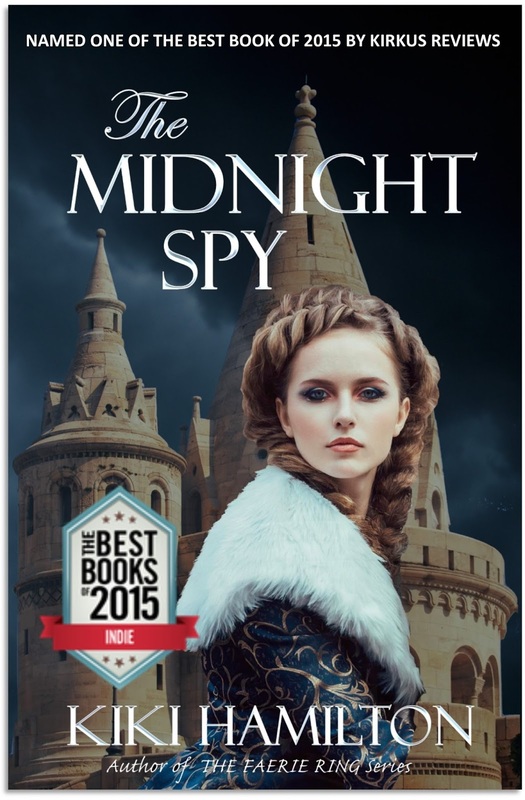 THE MIDNIGHT SPY was actually the very first book I ever wrote. If you're a writer, you know first books often spend their lives hidden in the depths of your computer, regarded as part of the learning process and never meant to see the light of day. Well, let me tell you - the first version of this book was exactly that! Nica wasn't even the main character - she was a very small, side character in a very different story. But I kept writing and Nica kept whispering in my ear, insisting that her story be heard, so I re-wrote the story. And re-wrote the story. And re-wrote the story. AT LEAST seven times I completely re-wrote the entire story. Start to finish. Painful...but necessary. With each version, the story got clearer and I began to know the characters better and they started to reveal their secrets. The world developed as I wrote - the countries of Jarisa, Sartis and Ajeratauk became real in my head and each had their own particular features. The languages are made up, with characteristics for each so one can differentiate between countries. For instance, I wanted the language of the Narsgededon forest people to be very lyrical, so a lot of the words are sectioned and end on vowel sounds. The serpent and bear both shall die. This prophecy tells of the deaths of Montemier, known as the wild bear because of his temper, and his nephew, Pontfial, who was called the viper for the method in which he used his sword. Montemier’s nephew was involved in a dalliance with the ruler’s young wife. Montemier was so angry when he found them out that rather than follow the typical protocol of a joust, where he would wear protective gear, including his famous gilded helmet, he attacked on the spot. The young Pontfial defended himself and stabbed Montemier through the eye, killing him instantly. The ruler’s ministers were so outraged they hung Pontfial without a trial. And thus, the serpent and the bear both died. In the story, the pages were written over five hundred years before the event. Anyway, I hope that answers some of your questions! To learn more, click over to THE MIDNIGHT SPY website. Book Two, THE MIDNIGHT DECEPTION is coming soon so check back often! 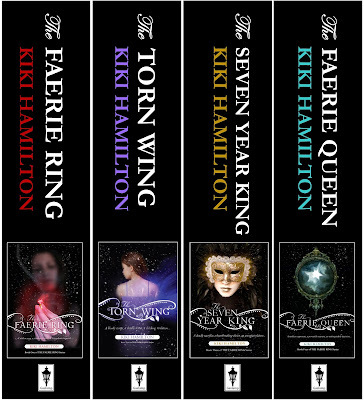 "Thank you very much, Kiki, for answering my question about the Faerie Ring series! I very much appreciated it. Looking forward to read your answer about the Midnight Spy! 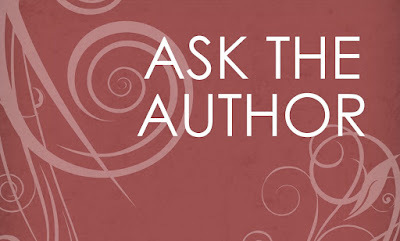 But I have one more question: could you recommend some books you have read about the faeries? Thanks again. iris"
Hi Iris! Thanks for your interest. Here's a quick pix of some of the books I used in my research! And LOTS of online searches on a multitude of topics. Which was half the fun of writing the series...one question led to another and another. The history of fey is fascinating and so intriguing because it spans every continent and every culture. 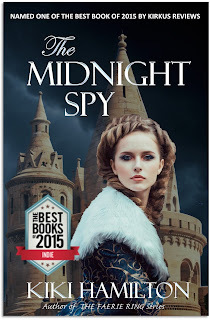 Coming up next: I'll talk about writing THE MIDNIGHT SPY! If you have questions leave them in the comments! Hi Guys! So here's some fun news - the entire FAERIE RING Series is now available as ONE BOOK on Kindle and Nook! You can read start to finish - all the way through. Immerse yourself in the dark, mysterious world of Victorian London as Tiki solves the mystery of the faerie ring! And if you like the stories - post a review online for me - that would be awesome! Want to check it out? Go to Kindle here or Nook here. Thank you for your support! THANK YOU, Iris, for reading my books, and caring enough to ask questions! I'm going to split my answers into two posts. 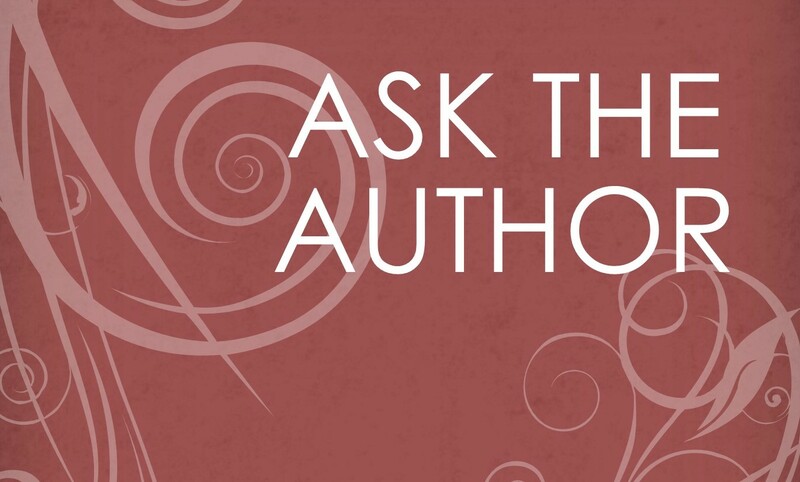 Today I'll tackle your questions about THE FAERIE RING. "Where did you get the information and inspiration for THE FAERIE RING series?" I wrote THE FAERIE RING back in 2008. I'd just finished reading a faerie story that I'd found disappointing, so I decided to write the story I wanted to read. I actually wrote the entire book in 30 days! It was so much fun - I had to keep writing to find out what happened next! I remember sitting on my couch and I'd just written the part where Tiki steals the Queen's ring. I was sitting there going 'now what?' (haha - the classic author dilemma!) and I looked down and the light caught the diamond in my wedding ring and it looked like there was a fire burning in the depths of the stone - and that's all I needed to know to keep writing! When THE FAERIE RING sold to Tor Books, my editor, Susan Chang, wanted all the historical details to be accurate, so I did LOTS of research - online and in the library. So. Much. Research. I purchased books that talked about life in Victorian London and actually had the chance to travel to London, where I went to all the places Tiki went - Charing Cross, St. James Park, the Birdkeeper's Cottage, Buckingham Palace, Hyde Park etc. I even went to the Buckingham Palace gift shop and got books there about the royal family and the layout of Buckingham Palace. I included all those real-life details in the story. "Where did you get the inspiration for the faerie legends?" When I started writing THE FAERIE RING I had no idea I would end up writing a four-book series! But when I got to the end of THE FAERIE RING, I knew the whole story hadn't yet been told. Plus, I *love* faerie stories and the 'what if' part of mythology. Such as...what if there's more to the reality than has been told in the stories we know?? So I started reading about Britain and faeries and found throughout history all the way to present day there are persistent beliefs in the fey and their stories are intertwined with ours. It was so fascinating to find many relics exist to this day and are prominently displayed in museums that claim a link to faeries. As the story progressed over the four books, each book has a link between real-world items that can be visited today and the fey. Thanks again for asking, Iris! I hope this answers some of your questions! 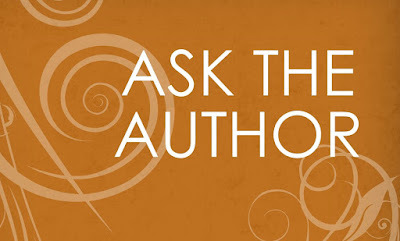 Check back soon and I'll do another Ask the Author about the THE MIDNIGHT SPY! Inspiration comes in many forms, from many places and often when least expected. As a writer, lots of things can spark that creative impulse to craft a story - a picture, a thought, a question, a piece of history. I think I may have heard of 'The Lock Bridge' first in ANNA AND THE FRENCH KISS by Stephanie Perkins - one of mine and my daughter's favorite YA contemp stories. It is a bridge in Paris, where lovers go, and as a symbol of their unbreakable love, they put a lock on the bridge and throw away the key in the Seine River. How romantic is that?? Anyway, I knew when we went to Paris, we would need to go see the bridge for ourselves. Let me tell you - pictures do not do it justice! The locks (which the City of Paris is now cutting off because they are so heavy they were concerned they would cause the bridge to fail) are ten and twelve deep the entire length of the bridge and on both sides! It’s incredible!! There are locks on top of locks on top of locks - which speaks to our universal desire - wouldn't we all wish to have never-ending love? But it also speaks of our unfailing ability to hope. Pont de l'Archevêché is inspiring in many ways and then to have the grace and beautiful of Notre-Dame Cathedral as a backdrop – Wow! As I sit down on this Sunday to write, I feel inspired and hopeful. What is some of your inspiration? Tell me in the comments. I’d love to hear from you! The other part of the equation, more often than not, involves a secret... for instance, What if the British Court had a secret alliance with the world of the Fey? Which is the premise of my FAERIE RING series. Take the Luck of Edenhall, seen above. This chalice plays an important role in THE SEVEN YEAR KING, Book Three of THE FAERIE RING series. Dating back to at least the 14th Century, today the Victoria and Albert Museum in London proudly displays this cup and says it is "one of the most famous objects displayed in the V&A." In its description, the museum claims, "Traditionally this cup is said to have belonged to the fairies. When disturbed, they fled and left it behind, crying, 'If this cup should break and fall, farewell the luck of Edenhall!'" *Freedom Tower / One World Observatory, New York City. October 2015. Photo by Kiki Hamilton. Whether you believe you are an ant or an eagle is often only a matter of perspective. Your choice, right? It is a windy, stormy day here in Washington State - the very best kind of day to write fantasy stories! The last few days (well, actually nights because I work during the day...) I have been working on re-designing my website, which has actually been quite fun. It has forced me to revisit some of my books and think about what information I want to share. 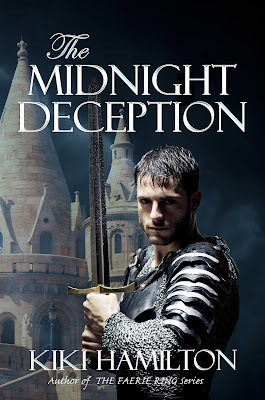 If you'd like to hear about my process for writing THE MIDNIGHT SPY go here or if you'd like to hear about my inspiration for THE FAERIE RING go here. Take a minute and go check it out for me - let me know what you think! In addition to my website update, I have been working on final revisions for a time travel story with the working title of THE NIGHT GATE that will be going out on submission soon. Check back and I'll keep you posted on my progress! What are you writing or reading today? The writing world is a funny place. When you first decide to write a book, the hardest part is the actual writing of the book. 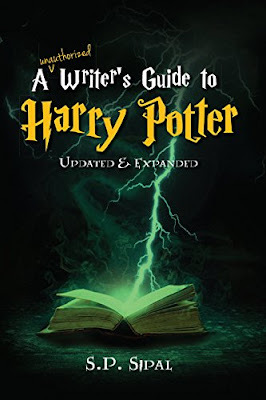 But once the book is written, there is an entire sea of other challenges/opportunities to navigate: getting published, getting your book distributed to bookstores, libraries and readers, and then getting people to read the book. It's a lot. 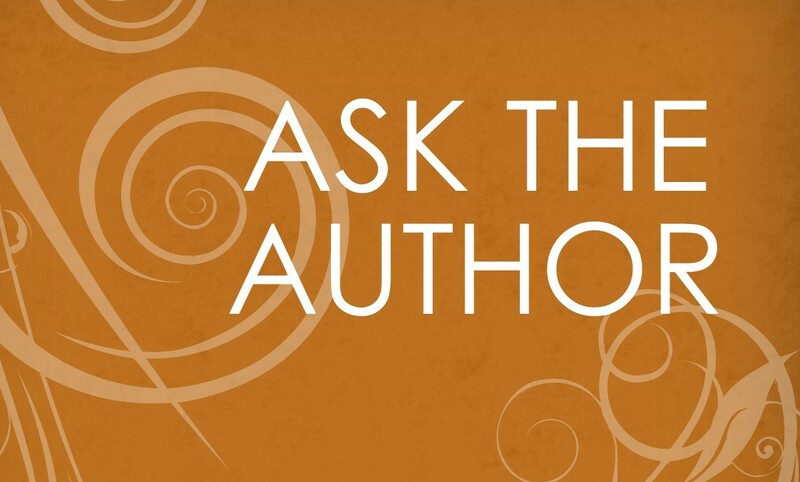 And whether you are traditionally published or self-published the process is harder than one would expect. "(Kiki's) book brought emotions. I felt like I was there standing right next to Miss Ivy Ly. The perspective change is amazing and made me want to curl up in a ball and... maybe cuss Q out a bit at times or get up and just start shouting with happiness." That is *exactly* what an author wants a reader to feel: emotions! "I just finished reading your book and LOVED IT. As a MS librarian I read a LOT of YA and Middle grade books. I COULD NOT PUT YOUR BOOK DOWN. I read it in one day. My laundry is backed up but it was WORTH IT!" It's hard to describe the feeling you get when messages like that arrive in your inbox, but if I had to sum it up in one word, it would be: GRATITUDE. Thank you to all my readers and to librarians for making our books available! *The Eiffel Tower, Paris, France, April 2014. Photo by Kiki Hamilton. It is breath-taking to see The Eiffel Tower in person, not only for its elegant design, but also for that moment when you see something so familiar with your own eyes. Magnifique! The Eiffel Tower was constructed in 1889 as the entrance for the 1889 World Fair. Initially criticized (quite strongly!) 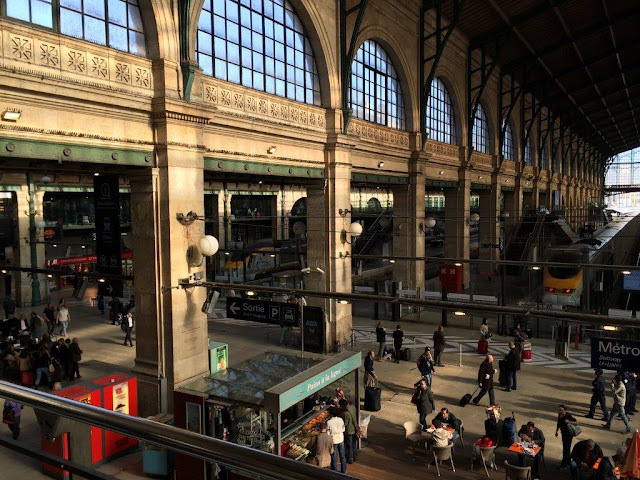 by some of France's leading artists and intellectuals for its design, over time, it has become one of the most recognizable structures in the world and a cultural icon for France. Which leads one to consider the ideas of strength mixed with beauty, as well as fortitude. All qualities one needs to embrace if one hopes to succeed as a writer. *We were in Paris when I took this picture. I was in a door mood - taking pictures of loads of beautiful, remarkable doors, like L'oreal, Ralph Lauren, Gucci. Wouldn't you love to see what's on the other side? Welcome to my new website! You know how some days you're suddenly ready for something new? Well, today was one of those days! So, come on in, take a look around and leave a comment or ask a question. I'd love to hear from you! 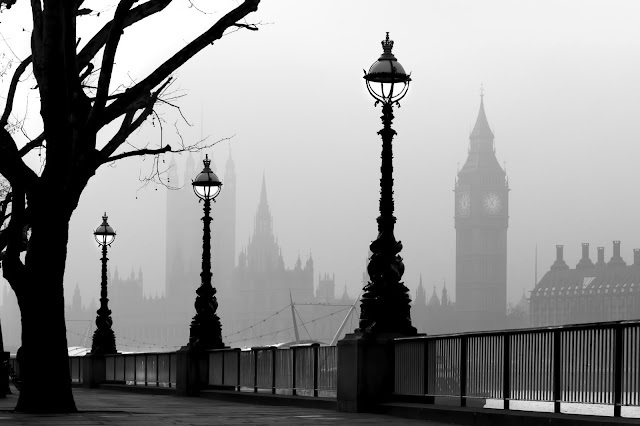 Victorian London - the name itself evokes images of fog-shrouded streets and top-hatted gents, palaces, royalty and the clip-clop of horse's hooves against the cobblestones. The era seems filled with mystery and magic - the possibility of so many wondrous things. While this is a modern day photo - the essence of London remains the same, even today: mystery, magic, history and stories yet to be told. As a writer, London is my muse. I can never get enough. Though this iconic tower is recognized around the world as 'Big Ben' - it was actually named St. Stephen's Tower until it was renamed Elizabeth's Tower to celebrate the Diamond Jubilee of Elizabeth II in 2012. It's the Great Bell of the clock that is named Big Ben. Completed in 1858, the tower is a celebration of Gothic Revival Architecture and like so much of London, it is a snapshot out of time - 19th century London in present day. Perhaps that's one of the elements that makes it so easy for writers to re-imagine London's history in story - the beautiful and iconic architecture makes time travel easy!